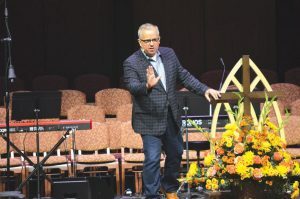 With the theme “Get Him Up,” the 2016 Pastors’ Conference elevated Jesus, as the seven speakers made an emphasis on Jesus being the focal point of their messages. Many attended the two sessions on Mon., Nov. 14, at Oklahoma City, Quail Springs. from Pilate. Kersh said pastors should acknowledge Jesus as the one who supplies, the one to serve and the one who took place of death for sinners. He made the emphasis of how the church is the Body of Christ. 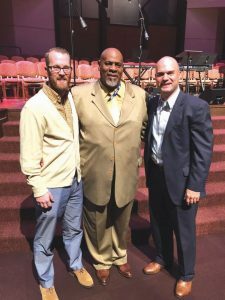 “If you will look at your church and say ‘Today, I serve the body of Jesus,’ it will change your life,” Kersh said. 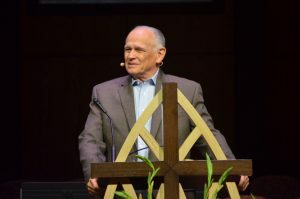 Walter Wilson, pastor of Lawton, Friendship spoke on the Prodigal Son and encouraged attendees to look at the Prodigal Son in a different way. He said to not allow a negative perspective and a judgmental view to hinder how to look at others who may be like the Prodigal Son. Ed Litton, pastor of North Mobile, Ala., Redemption, concluded the morning session, giving a message on envy from Psalm 73. He said there isn’t a subject “more relevant” for pastors than dealing with envy. The afternoon session began with Justin Sampler, pastor of Inola, First, speaking from Matt. 12:38-42 and asking “Is God’s Word enough?” He referenced how the religious leaders were asking Jesus for a sign for them to believe in Him. Sampler said seekers of Jesus should recognize the sign of Jesus’ death and resurrection, as Jesus Himself used the story of Jonah as a sign. 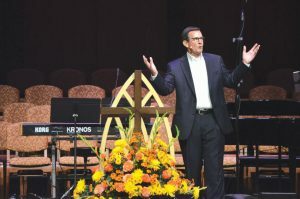 analogies of churches today, Reavis challenged pastors to return to sharing the Gospel and focusing on the things that matter to God. 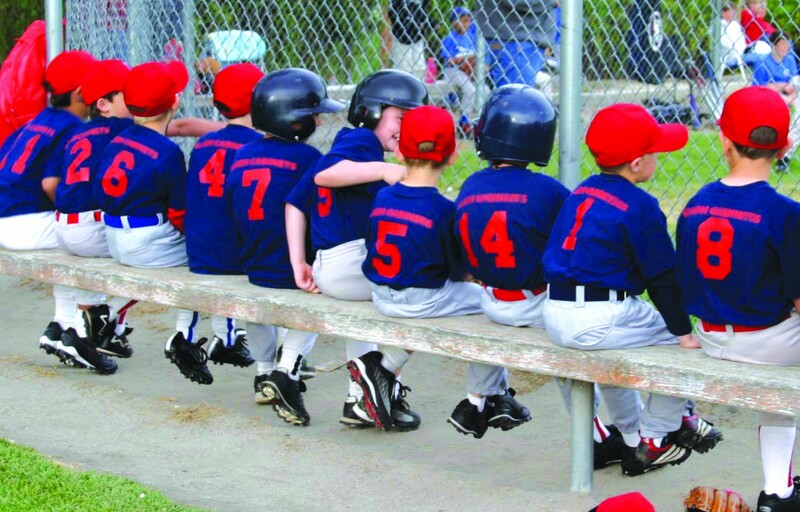 “Do you really think there is a number that will impress God? He made galaxies,” said Reavis. Keith Wiginton, pastor of Claremore, First, will serve as president of the 2017 Pastors’ Conference. He was nominated last year as first vice president and president-elect.